On June 29th, the U.S. Supreme Court issued a narrow ruling in favor of Oklahoma continuing its use of lethal injection in carrying out the death penalty. Discussion of capital punishment is cyclic; it’s a perennial topic all contenders for political office have to face – and answer to – in their bid for voters. Presidential elections are still sixteen months off, but controversy over the death penalty has a head start. 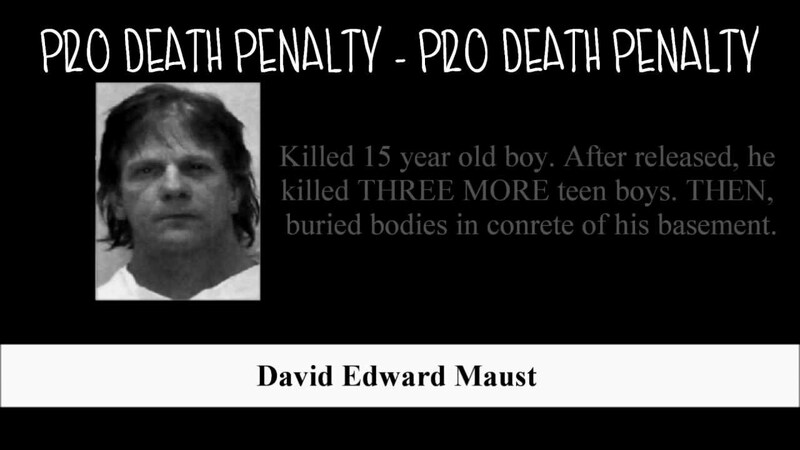 Clearly, this is the most frightful consideration in the application of the death penalty. There is no pardon from death. The fact 140 convicted people, later found to be innocent and released from death row, were innocent is more than enough consideration to be wary of prescribing the sentence. It begs the question as to how many people have actually forfeited their life because of a flawed criminal justice system. However, there is a simple fix to this problem. Alter the rules of conviction in capital cases to those proven beyond ALL doubt and not beyond all REASONABLE doubt. When someone’s life depends on the strengths and weaknesses of a prosecutor, a defense attorney, and the questionable intelligence of jury, the standards must exist at much higher level. That said, the likelihood of changing a legal system in place since medieval times seems a bit thin. Justice Breyer said: “the factors that most clearly ought to affect application of the death penalty – namely, comparative egregiousness of the crime – often do not. Other studies show that circumstances that ought not to affect application of the death penalty, such as race, gender, or geography, often do.” Can anyone really question the validity of such a statement? The numbers of examples one can site for the inequality of justice are legion. If the notion of unreliability is the most serious, this situation is the most ridiculous. According to the Death Penalty Center, as of 2012, the average wait time between conviction and carrying out the sentence is more than 15 years. It adds a complication to the discussion of cruel and unusual punishment, not to mention the increased societal cost. It seems ironic even to consider such a factor as cruel and unusual punishment in relation to someone whose crime was murder, or even the method of its administration as discussed in Glossip v. Gross. Whatever pains the convicted feels while in the throes of death seems irrelevant when compared to the life-long pain the victim’s family will have to endure the rest of their lives. It’s difficult to summon an ounce of sympathy in this regard. 4 – Most states have abandoned its use. This is a mistake. Perhaps the more socially responsible approach is to apply the sentence in the cases beyond all doubt and move on. 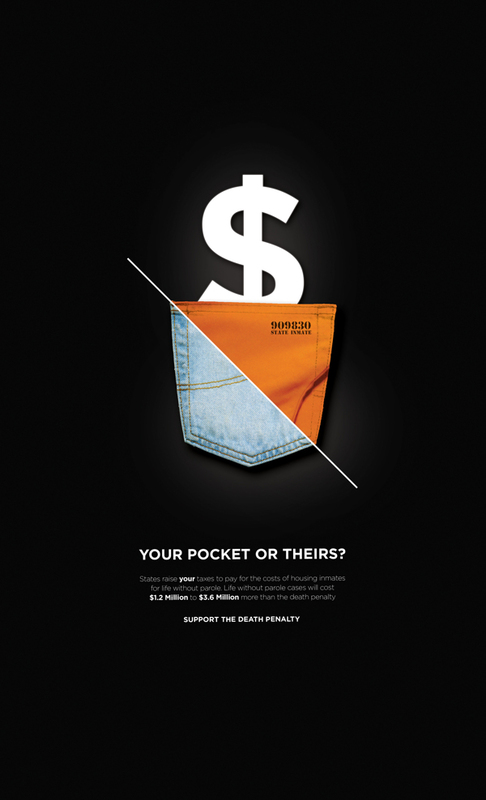 Amnesty International touts the most often heard statement about capital punishment: it does not serve as a deterrent. They quote FBI data, which indicates 14 states without the penalty have homicide rates less than the national average. The statement sounds a bit self-serving. The most significant reason the punishment no longer works here is due to its removal from the public forum. In the years before 9/11 and radical jihadists, I never felt safer than walking the streets of Saudi Arabia – day or night. I have a long list of things I do not like about that country, but their murder rate stands at a mere .8 per 100,000. By comparison, America’s is at 4.7. Why? 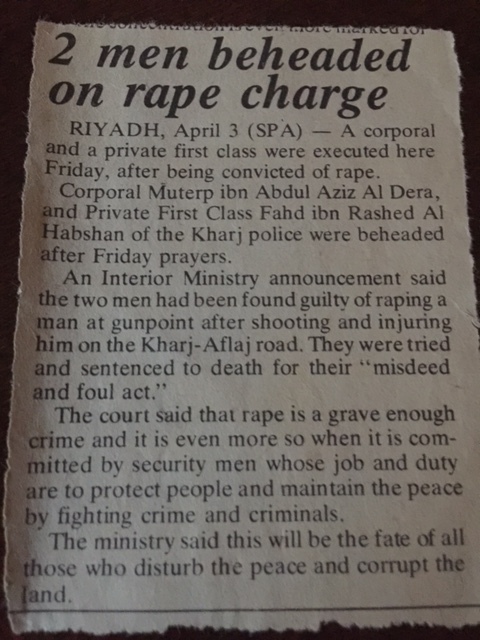 In Saudi Arabia, capital punishment is a public affair and in full display; it’s gruesome in its spectacle. To watch a few thousand Muslims emerge from a mosque on a Friday at noon and circle around the kill-zone, pushing and shoving to get up front in order to watch the executioner slice the back of a man’s neck open with a sword, is horrifically mesmerizing, which is the point. Human rights activists’ fault Saudi Arabia for its growing number of public executions and for good reason – capital punishment serves a broader spectrum of crime there. Nevertheless, there is no arguing the fact it is a significant deterrent to committing capital crimes. We are coming up on the 79th anniversary of the last public execution in this country. Perhaps when the Supreme Court reconvenes on the first Monday in October, they might consider an amendment to common law and push the notion of public display of execution back into vogue. It’s incongruent Americans can withstand the barbarism of white supremacy or gang wars, yet turn suddenly squeamish over a public display of execution designed to curb the very crimes which diminish the quality of our lives. This entry was posted in Justifiably Intemperate Rants, Political Discourse and tagged Capital Punishment, Death Penalty, Pro-Death Penalty by Gary Nilsen. Bookmark the permalink.